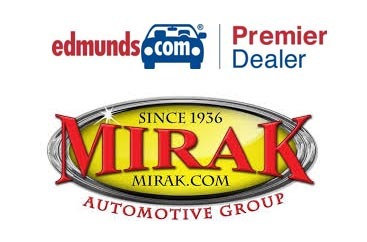 Mirak Chevrolet is now an Edmunds.com Premier dealer. Please check out our reviews on Edmunds.com. This is how and why we have earned the right to become an Edmunds.com Premier Dealer. Edmunds.com allows consumers to view accurate pricing for vehicles available in stock at Mirak Chevy – and then alleviates the stress that can be associated with buying a new or pre-owned car. This is accomplished using Edmund’s “True Market Value” pricing. 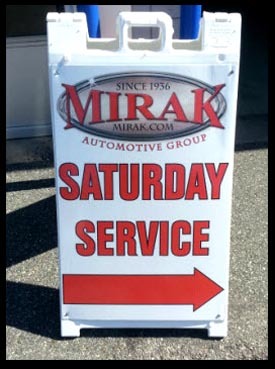 This program at Mirak Chevy will save shoppers time and ensure a hassle-free shopping experience. Once the desired Chevrolet vehicle is selected, Edmund’s True Market Value pricing should only take a few minutes to establish. We are very proud to be associated with such a well-respected and trustworthy company like Edmunds.com. The company has been a leader in providing consumers with the best possible car buying and research options available. When you do business with us at Mirak Chevy, you know our honest pricing and business practices are backed by Edmunds and their Premier Dealer Program. To find out more information about this program or to inquire about a vehicle you are interested in, please fill out this short form and let us know how we can help you. Buying a vehicle just got easier! Some Chevy dealerships close their service departments at 5:00 PM on weekdays. Some are not open on weekends. But this isn’t the case at Mirak Chevrolet. We’re open for service until 8PM on Tuesdays and Thursdays. We also have Saturday service hours. You can schedule Chevrolet service in the Boston Area by clicking here. Mirak Chevolet is a Boston Area Chevrolet Dealer.